Product description: Discover all the benefits that this Solar Cover will bring to your pool. First the tough PVC plastic cover does a great job of keeping out unwanted debris. Even better, the solar cover keeps pool water warmer by collecting the suns energy and trapping it in the water while preventing excess heat loss. This is a wonderful item for keeping your pool clean and ensuring that your friends and family will always get the most enjoyment from the water temperature while having fun. Available in several sizes. Enjoy your pool longer when the water is warmed by the sun. 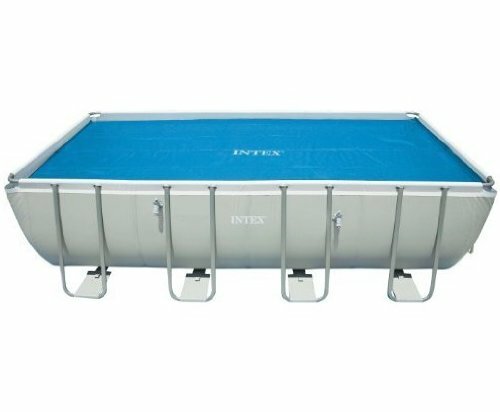 10-ft. Cover Fits 10-ft. Easy Set and Metal Frame pools. 12-ft. Cover Fits 12-ft. Easy Set and Metal Frame pools. 15-ft. Cover Fits 15-ft. Easy Set and Metal Frame pools. 18' x 9-ft. Rectangle Cover Fits 18 x 9-ft. Rectangular Frame pools. 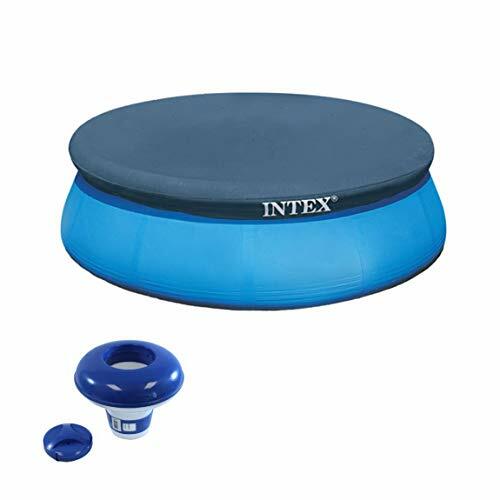 Intex 8 Foot Easy Set Above Ground Swimming Pool Debris Vinyl Round Cover Tarp Hydrotools 8720 7" Swimming Pool Spa Floating Chlorine Dispenser 1 or 3"
Spend more time swimming in your pool this summer and less time cleaning it with the Intex 8 Foot Easy Set Pool Cover and 7-inch Floating Chlorine Dispenser. This above ground pool cover helps keep your pool free of dirt, insects and debris when not in use. Constructed of high-quality, durable 7-gauge, UV-resistant PVC vinyl, this pool cover features drain holes to prevent water from accumulating on top. Having your pool covered also helps to prevent evaporation which means adding less water and chemicals to your pool. Keep your chlorine level up with this large capacity Hydro Tool swimming pool floating dispenser. 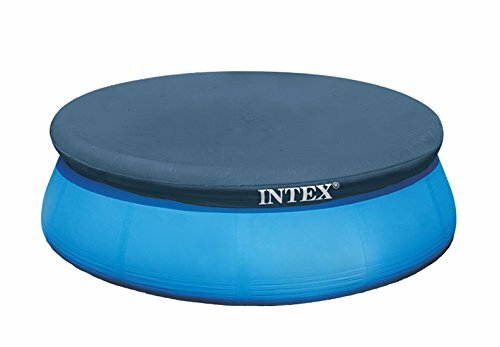 The floating dispenser features a heavy duty design that holds about 3 pounds of 3-inch chlorine tablets, great for 1- or 3-inch tablets, has a locking cap, U.V resitant plastic for many seasons of use, adjustable control ring and it's very easy to use. 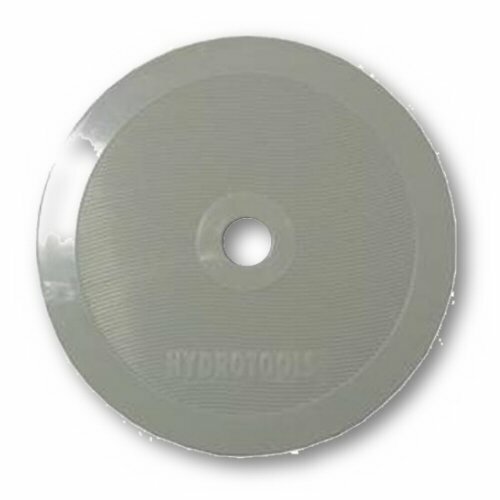 The Hydro Tool floating dispenser it's a must for a swimming pool owners, it's very inexpensive and dispenses the chlorine effectively. 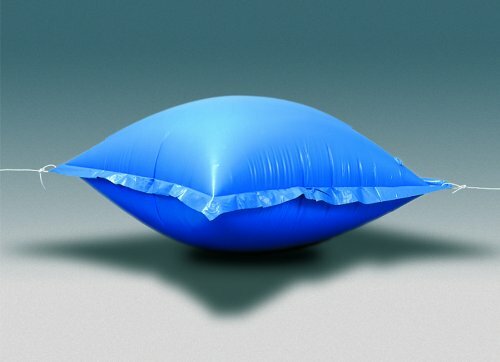 10 ft cover keeps debris such as trash, leaves and etc from getting into your swimming pool. Pool cover also works with Quick Set, Summer Escapes, Fast Set and Sand N Sun style pools that have the inflatable top ring. 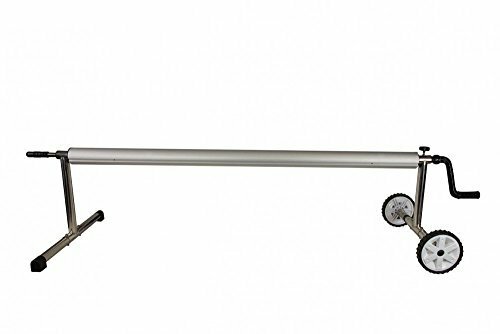 The Hydro Tools cross-pool pole set is made of solid, sturdy and reliable aluminum poles that are perfect for solar reel systems and guaranteed to last. Solar Pool Cover for 18-feet by 9-feet rectangular frame pools. 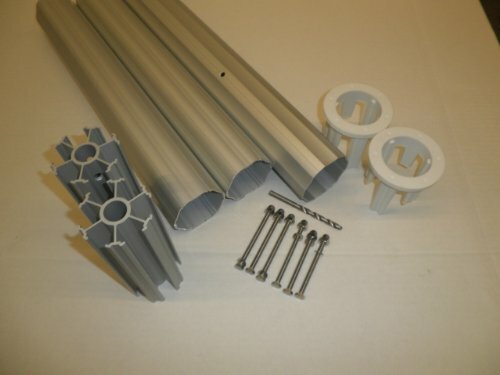 This solar cover reel kit includes everything you need to get started! 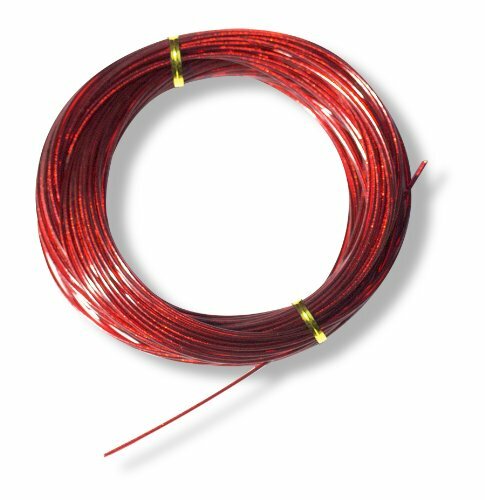 The reel system and pole set are easy to install and will be ready to go in minutes! 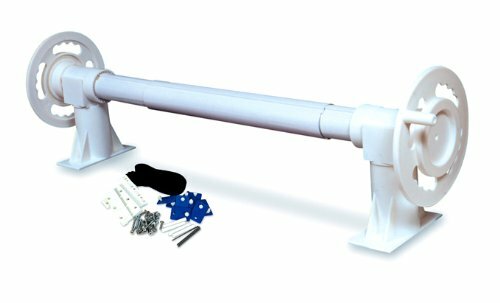 This package includes a telescopic skimmer net and a 12-foot round frame pool cover.Swimline's HydroTools Leaf Skimmer is the quick way to remove debris from small swimming pools and spas and includes a 2 to 4-foot telescopic aluminum pole.This lightweight, easy-to-use, 4 foot telescopic pole with integrated leaf net is super handy for quick cleanup of pools and spas. The included leaf skimmer easily detaches so you may attach an alternate telescoping pole accessory.Spend more time swimming in your pool this summer and less time cleaning it with the Intex 12' Pool Cover. This above-ground pool cover helps keep your pool free of dirt, insects and debris when not in use. Constructed of high-quality, durable 7-gauge, UV-resistant PVC vinyl, this pool cover features drain holes to prevent water from accumulating on top. 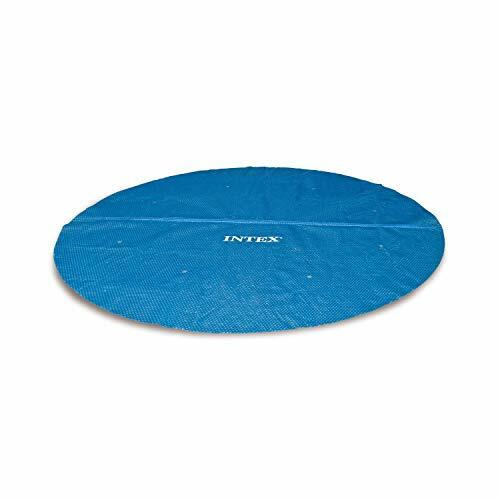 It comes with nylon rope ties and a 10-inch overhang to keep your above-ground pool covered and free from debris.